We’re presenting to you the first part of the Ultimate guide to eCommerce SEO. In this series of blog posts we’re going to teach you all the steps you need to take to rank eCommerce site for the search engines. 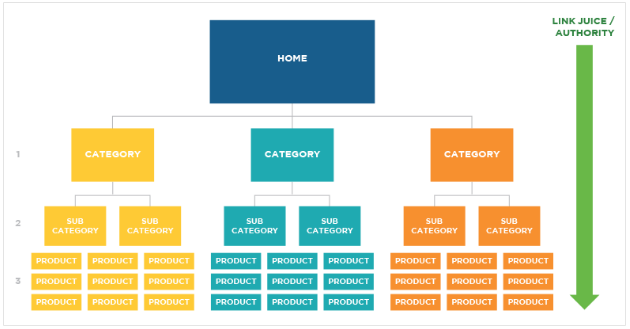 In this first part we’ll cover keyword research, site architecture and on-page SEO. The first step to any SEO campaign is to learn for which keywords to optimize your website. Get this wrong and all other efforts to optimize your websites will fail. You won’t get the traffic & you won’t attract the target audience that you want. On other hand, spend the time to do your keyword research and this will make it easier for your to optimize website later on. You will find less competitive keywords and you will be able to calculate how much effort you need to put to be able to rank for them. Google Keyword Planner – this is the standard tool that you can use to find keywords to rank for. The good news is that it’s free. The bad news is that everybody else is using it so you won’t be able to see things others won’t. Still – this is where you keyword research should begin. 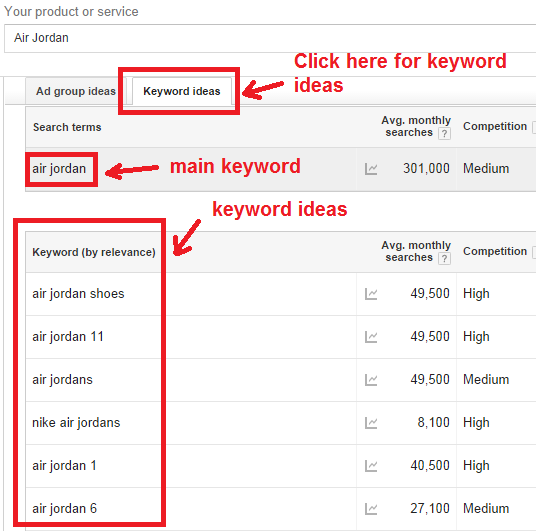 And you should use your keywords ideas from here as a starting point to find more. 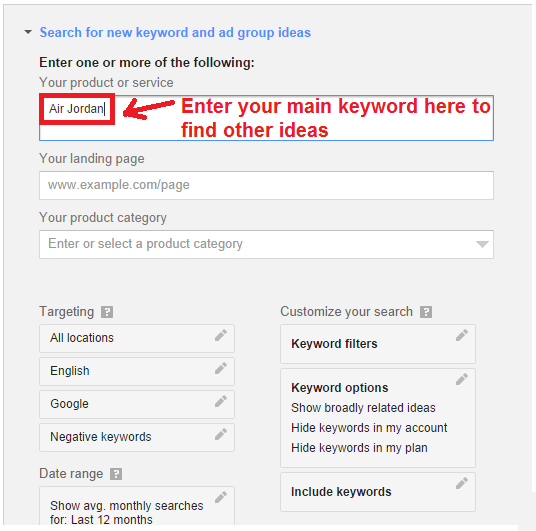 Go to Google Keyword Planner and click on “Search for New Keyword”. Then type your desired keyword. After that you will see a list of results with similar keyword ideas. For each keyword you will see stats like avg. monthly searches and competition. 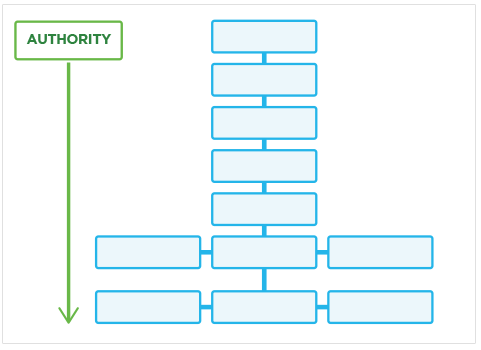 That way you can prioritize and decide for which keywords it will be easier to rank for. Keep in in mind that here by “competition” it is meant competition in Google AdWords, not in Google Organic Search. Higher competition is due to more people advertising using this keywords which means that in theory – it should be profitable. 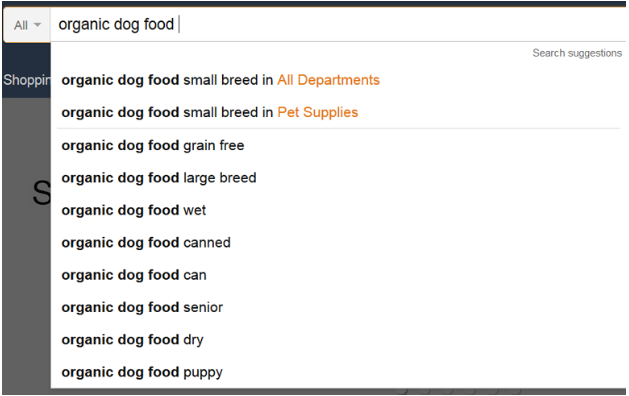 Amazon – the biggest online store on the planet is doing an amazing job when it comes to ranking for the right keywords. 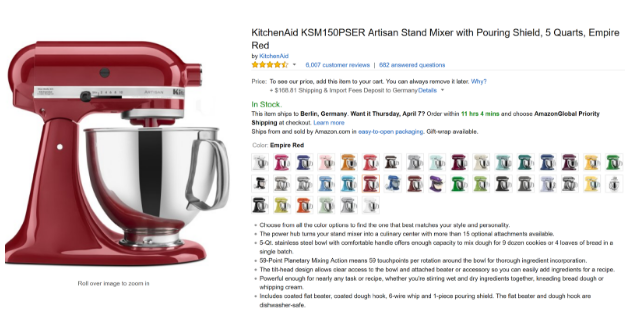 That’s why if you’re selling products Amazon sells as well (you probably are) – you should do your best to steal all the best keyword ideas from them. The best way to do it is to tap into Amazon Suggest. Simply type one of the keywords that best describe one of your products in the search bar and you will see many suggestions. As you can see these are targeted long tail keywords. Which is great because they tend to be less competitive and they also convert better. Repeat this process for your most popular products on your site and you will be surprised by the amazing keywords you discover. Later on check the searches per month in Google Keyword planner and prioritize. Keep in mind that it also makes sense optimize for keywords that have 20 searchers per month if they are going to convert well and it won’t take you much effort to rank for. Wikipedia – it is well known that it is one of the best ranking websites on all possible topics. That’s why steal keywords from Wikipedia about the products you sell. Simple check out a page about a product or a brand you’re selling on your eCommerce site and you will get tons of keyword ideas. 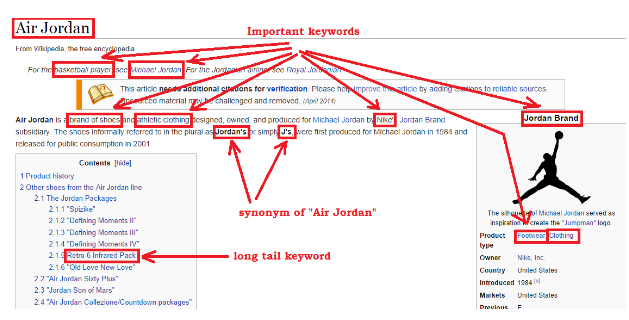 You can easily see related keywords such as Michael Jordan, Nike’s, Jordan’s, J’s, Retro 6 Infrared pack, etc. SEOQuake – SEOQuake is a great free browser plugin available for Chrome, Mozilla and Opera made by SEMRush. With it you can easily find amazing keywords by browsing other product pages. For example: you can analyze the following page Rode Smartlav Lavalier Microphone for iPhone and Smartphones on Amazon.com. Simply click on the SEMRush icon and choose page info. Here you will see the main keywords that are being used to optimize that page. 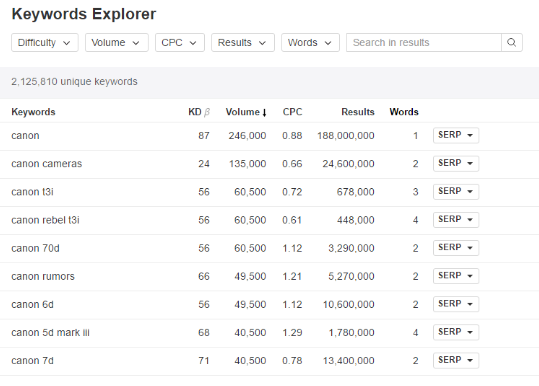 Ahrefs – they have a great new tool called Keyword Explorer. I believe is simply the best keyword researching tool available out there. You type your keyword in the search bar and you select your country. After that you will see a result with related keywords with their stats for volume per month, average CPC bid, total results and number of words. You will also see the most valuable metric here – KD or keyword difficulty. In other words, Ahrefs will show you how difficult is to rank for a certain keyword from 1 to 100. You can filter words based on difficulty, volume, CPC, results and words. eCommerce websites tend to be among the largest websites. With BestBuy having over 6 million pages. Organizing these pages correctly it’s really important for SEO so web spiders can easily crawl them and understand how they are related to each other. A good site architecture also allows your top pages to pass juice to your inner pages to they are able to rank as well. The site architecture is also important in terms of usability and customer experience allowing visitors to easily find the pages they are looking for. Deployment of customer engagement tools can also help to interact with prospects directly. Make every page accessible in 3 clicks – your visitor should be able to visit every page on your website within 3 clicks or less from your homepage. You can see how the homepage link to categories then to subcategories and products. In this case, some of the inner pages are not connected to the homepage at all and a lot of clicks are needed to get to them. This makes browsing hard and it will be harder for inner pages to rank. Not to mention that this architecture is not really scalable. You should focus on optimizing your category or product pages because they are the ones that will attract the majority of your traffic. At the same time they are more likely to convert. Someone searching for “red Nike running shoes size 10” is much closer to making a purchase than someone searching for “buy shoes online”. Title tags – you must include your main keywords in your title tag. That’s for sure. But beyond that you should write your title tag in a way to trigger more clicks from the search results. It is a well-known fact that Google uses search results CTR to rank pages. So the more clicks you get from the result – the higher your page is going to rank. More clicks from search results also bring you more traffic (with the same rankings) which results in more sales. Instead of using just your product keyword like “Noise Cancelling Headphones”, you can add a word or two that people might search with that. So your title could be: Cheap Noise Canceling Headphones. Description tags – the description tags don’t affect so much rankings directly. However, if you do them right – you can have higher CTR which do affects search rankings directly. 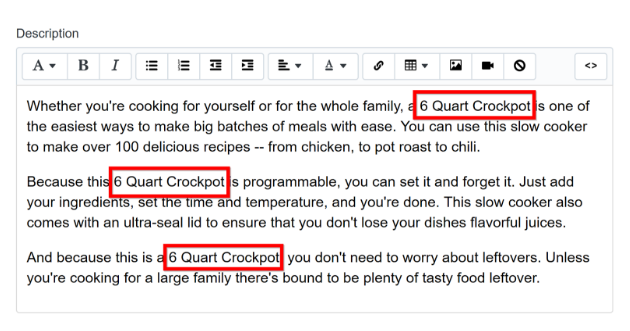 The good thing is that here you have more room to include click magnet words that will help you generate more clicks. Image optimization – the smaller the size of your images the better. That way your eCommerce site will load faster and as a result it will rank better (yes, site speed is a search engine ranking factor). Be careful to not reduce the file size too much because this might affect the quality of your images and as a result decrease your conversion rates and sales. It is best to try to keep your image file’s size below 70 kb. To reduce the size without compromising the quality you can use Adobe Photoshop. On the menu, simply go to File -> Save for Web and adjust your settings. Before you upload the image on your eCommerce site rename it using your main keyword. You don’t want to be “FH42__29405.1407960009.1280.1280.jpg”. 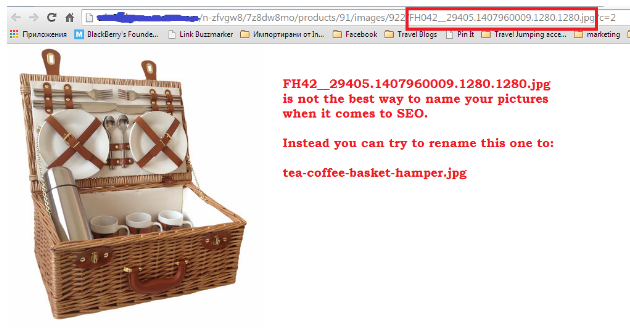 Instead you want it to look more like “tea-coffee-basket-hamper.jpg”. 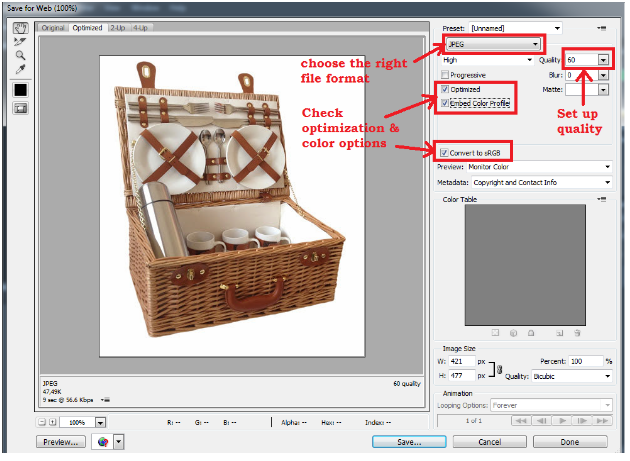 Don’t forget to write your alt-tags and title tags explaining the content of picture and including your main keywords. Product and category page content – Google tends to rank pages with longer content higher. So focus on creating 1000 words unique description for your pages. This could be hard to do for all pages – especially when you have thousands of products on your site. In that case, simply pick your top 50-100 products and category pages and optimize their descriptions. Be sure to include your keywords at least 3-5 times in your copy. That way Google can understand what your page is about and it can rank it for the right terms. Be sure to also include semantic words in your copy – the ones that are closely related to your main keyword. 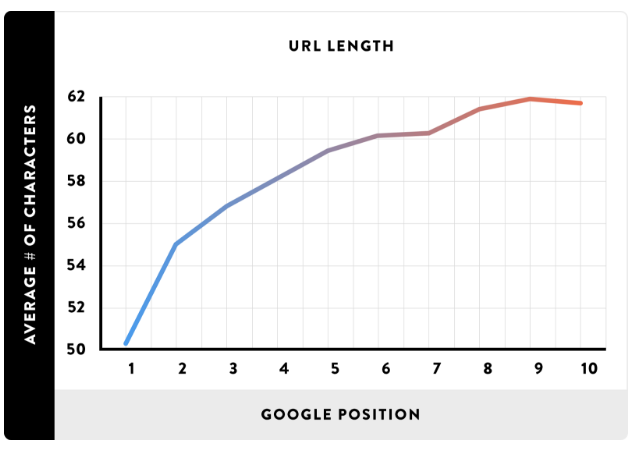 Short Keyword friendly URLs – according to a study made by Backlinko shorter URLs tend to rank higher. Keep in mind that you don’t want your URL to go beyond 50 characters and you should keep them as short as possible. You also want to include 1-2 descriptive keywords in your URL for categories, subcategories and product pages. Internal links – it is extremely important because this makes it easily for spiders to crawl your page as well as you pass link juice that way. The good news is that most eCommerce sites naturally link to most other pages because of their structure. 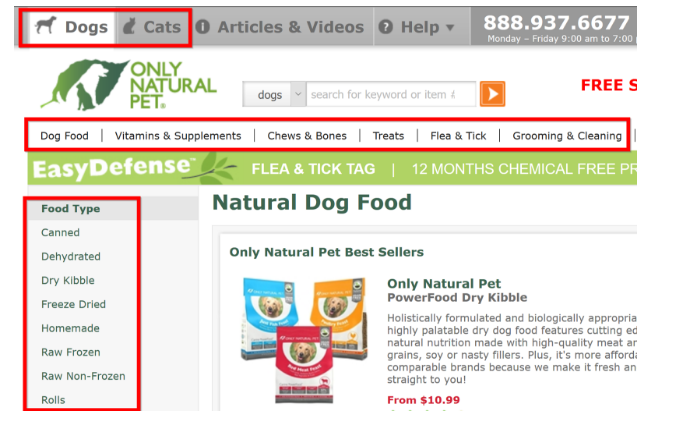 Be sure to link manually link from authoritative pages to high-priority product and category pages. That way they will rank better. For example: if you have a blog post that ranks for your term – be sure to create an internal link to your product page using your main keyword as an anchor text. 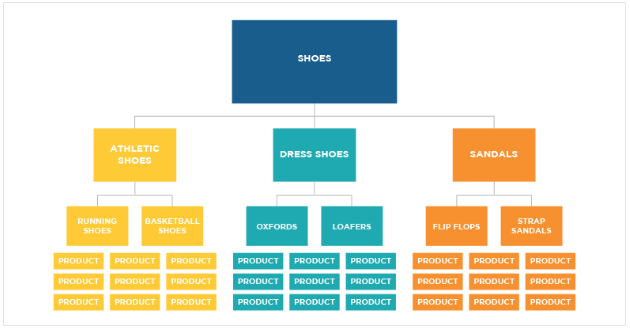 In the second part of the Ultimate Guide to eCommerce SEO we’re going to cover technical SEO, User Signals and Link Building. What is the most difficult thing for you when it comes to optimizing your eCommerce site for search engines? Let us know in the comments below.